After director James Wan left the horror genre for Furious 7, many fans thought he’d never be back. Quite the contrary! His very next film is The Conjuring 2, and the first trailer shows that the Saw and Insidious helmer hasn’t lost a single step. It’s scary as all hell. 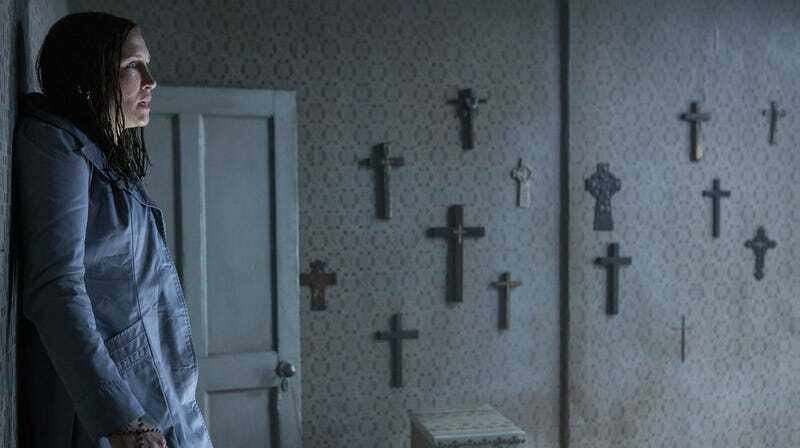 Set several years after the first film, The Conjuring 2 tells another true story in the case files of Lorraine and Ed Warren (Vera Farmiga and Patrick Wilson, reprising their roles). This time, the Warrens “travel to north London to help a single mother raising four children alone in a house plagued by malicious spirits,” although “malicious” seems like a bit of an understatement after watching this first trailer.